Carl Menger, in his work Principle of Economics, describes in chapter VII the general theory of the origin of money. In short, some goods have an element of higher marketability than other goods within an economy based on direct trade or barter. This marketability consists of the fact that there exists a higher demand for certain goods and invokes in people a demand for items that wouldn’t normally have a demand, this new demand being for the purpose of trade. In this history about the origin of money, it is known that different goods were used as money, such as livestock, cacao in Mesoamerica and precious metals such as gold and silver in Europe. Gold and silver, used as money, possess characteristics that allow them to be considered a commodity with qualities that allow them to function as money. These qualities include: a difficulty to counterfeit, a relatively stable quantity available and high durability. 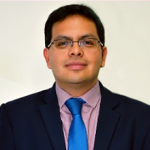 There exist other qualities, however, that generate high transaction costs in a digital economy such as the present. These qualities are difficulty to transport and low divisibility. Because of its low transportability and low divisibility, and due to the fact that gold and silver were not conducive to extraterritorial trade, gold was used for many years (until 1971 to be exact) in one way or another and silver for many years as a base, albeit limiting, for the emission of money. After 1971, with the end of the gold standard and dollar convertibility as per Nixon, fiat money was given an “in”. Today, fiat money is typically paper money emitted by central banks. Theories such as the quantitative theory of money explain that the value of these tradable commodities depends on the relationship between goods available for exchange and money supply (paper money) available for performing such exchanges. The value of these commodities also depends on another relevant aspect, that being the velocity with which paper money is put into circulation. The behavior of economic agents against this paper money determines, to a large extent, its value. During times where there is a lack of confidence in the paper money being utilized, the population will abandon it and its value with drop immediately. A current example may be the case in Venezuela with the bolivar. 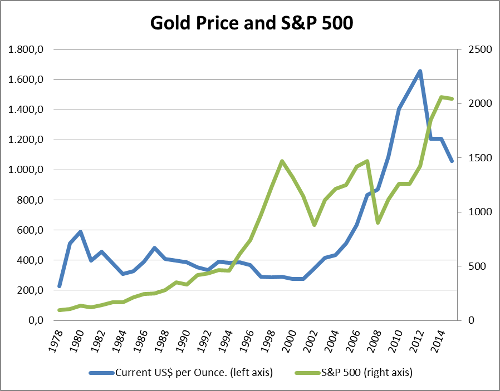 Graph 1 depicts gold price per ounce, shown in current dollars, and percentage point values of the S&P 500. Values are shown at year-ends during a 38-year time period (1978-2015). One can assume that a sensible person, considering that the money emitted by governments is no longer backed by gold and could potentially lose its entire value, would invest a good portion of his/her portfolio in gold. If we assume that the dollar will drop in value and gold will maintain its demand for other non-stable monetary purposes, and its supply is relatively stable, gold should raise in value. A sensible person would use the S&P 500 as a mechanism for low-risk investments, considering receiving a relatively low yield compared with other investments, but at the same time, with less risk. 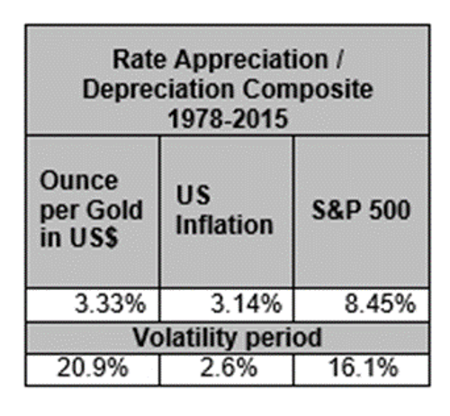 Table 1 shows composite appreciation or depreciation rates for the same 38-year period for three different assets: fiat dollars, gold (expressed in dollars) and the S&P 500. The year 1978 is being used for two reasons: it is the birth year of the author of this article and in order to simulate what a private retirement portfolio may look like for a person of the baby boomer generation (the father of the author of this article). We see that gold has appreciated at a composite rate of 3.33% for the time period in question. Fiat money saw a composite depreciation of 3.14%, which means that gold experienced a composite net return of 0.19% after inflation. The S&P 500 experienced an appreciation of 8.45% for the same time period and after including inflation, 5.3%. The volatility for the price of gold during this period (calculated using year-end prices) was at 20.9% whereas the S&P 500 was at 16.1%. From this, we conclude that the S&P 500 offers higher returns and less risk than investing in gold. What conclusions can be made from this analysis? Gold most definitely holds its value. During a 38-year period, it proved to be successful at holding its value making it a good asset. Its use as a medium of exchange most likely would imply transaction costs that exceed the composite appreciation to an inflation ratio of 0.19%. Fiat money is, without a doubt, poor when used as an asset for holding value. Someone who may have retained money as an asset during the evaluated time period would now have just 31% of what he/she had in 1978. Nevertheless, fiat money has high liquidity, and transaction costs are the lowest when compared to any other asset in the world (even taking into account international laws pertaining to the prevention of money laundering). Diversification is a good option for any investor when looking to assume low risk and higher yields than what traditional bank services can produce, and with luck, can curb the drop in value of fiat money. 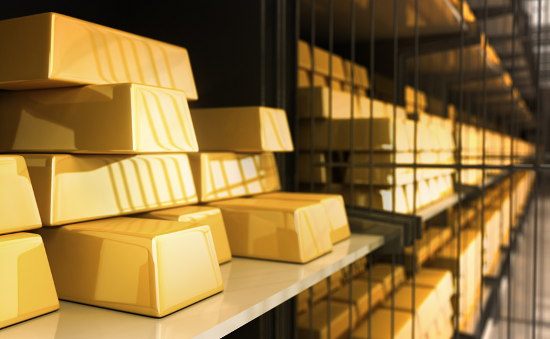 Gold, under current global conditions, does not serve as a good substitute for fiat money as a medium of exchange, but is an excellent asset for holding value. For those of us with access to investments influenced by gold, this is a good option for holding value, but one must understand that if the plan is to retain the investment for only short periods of time, its volatility is even higher than that of the S&P 500. In summary, maybe in our current world, with values and priorities different from those of yesteryear, we see that it is most likely better to choose investments that both hold value and see returns. Higher yields and less risk even than that of gold. Returns and keeping value are better accomplished by the real diversified economy than by fiat money and gold. Gold will always remain as a nostalgic symbol of the glorious past of some societies and also as a permanent reminder that everything, including gold, is only a matter of time. Gold most certainly holds its value more so than fiat money, but might it be the case that, under current world conditions, gold could serve as an acceptable substitute for fiat money as a medium of exchange?